1.The Board is new design, it has 6pin not like old modle just 4pin , Quality is great than other . 2. The Board has 4 x FP solid capacitors, making graphics power supply more stable and secure. 3.Parallel transfer tapes or Black 6 pin interface to strengthen the power supply and make the video card power independence from motherboard . 4.The USB 3.0 Cable is 60cm not 50cm . With SATA 15pin Male to 6 pin power cable for direct connection to your power supply reduces the power burden on your motherboard and ensures maximum compatibility with your power supply. 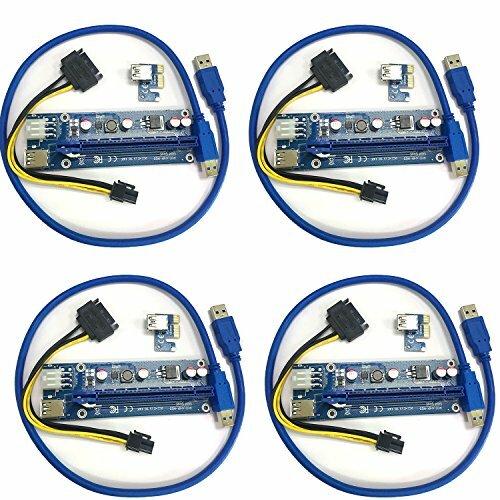 USB 3.0 cable available to connect PCI-E 1X and PCI-E 16X sides for more free installation and faster data transfer for graphics card. If you have any questions about this product by MEITK, contact us by completing and submitting the form below. If you are looking for a specif part number, please include it with your message.